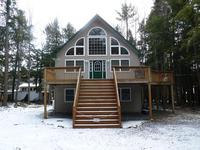 Rick's Pocono Blog: A Beautiful Pocono Chalet For Rent! 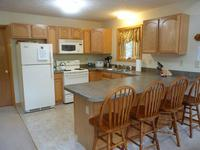 This home also includes a Washer/Dryer, Propane Fireplace, Big Screen Television, and many other appliances. On level there are 4 singles, 2 queens, level 2 there are 2 doubles, 1 sofa bed, and level 3 there is 1 queen and 1 futon. 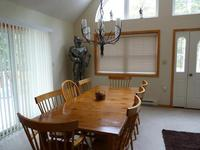 Who will be the first taker for a Beautiful Pocono Mountain Rental Home This Spring/ Summer Season? !